The BLU Advance 5.5 HD Battery is available for purchase online. Here get details about battery for BLU Advance 5.5 HD phone. Is your battery on BLU Advance 5.5 HD isn't giving enough backup, then you can go for a new battery. Good thing about this phone is that the battery is removable. 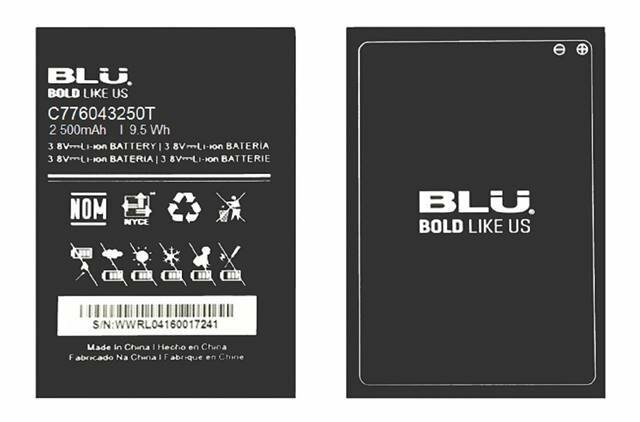 The all new BLU Advance phone battery comes with a capacity of 2500 mAh (9.5 Wh 3.8V). It's an original replacement battery sold by BLU Bold Like Us.